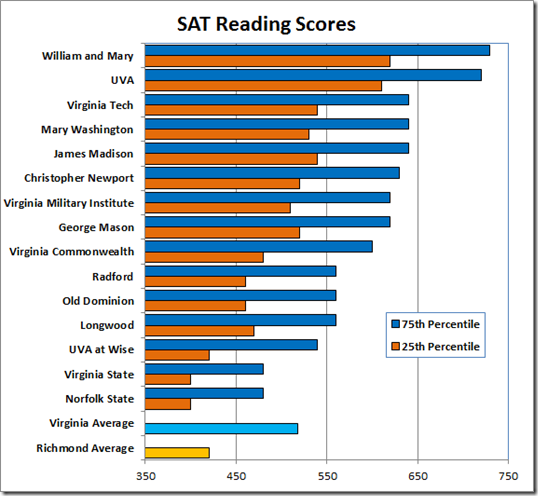 VDOE has posted the 2015 Virginia average SAT scores. As of today (9/11/15), RPS has not. 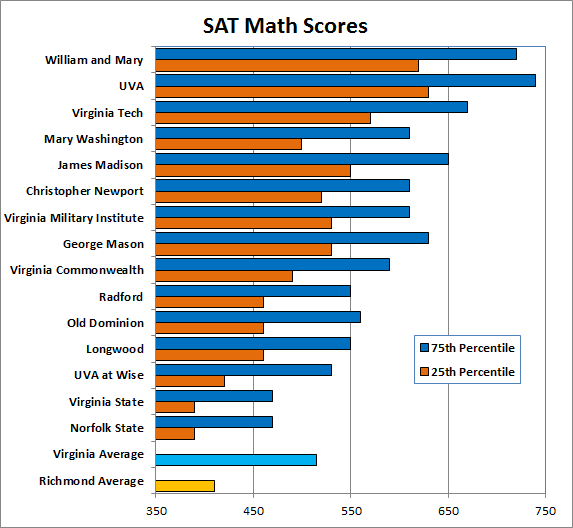 While I was looking for scores, I found a list of SAT scores for State universities in Virginia. The site does not date those. Given that the scores do not change a lot from year to year, I thought it might be interesting to juxtapose the university data with the 2014 Richmond scores. Notice that this is an apples-and-oranges comparison. That said, the state average for college-bound students is close to the 25th percentile scores of entering students at Mason, VMI, and Christopher Newport. The Richmond average is fifty points below the 25th percentile at Longwood.